Maryland Cannabis Supply is a minority owned and operated local Maryland business that is committed to being the leading cannabis industry distributor and wholesale supplier for dispensary and extraction labs on the East Coast. Our wide selection of high quality dispensary products and extraction supplies range from brand named products to in-house developed child resistant packaging, certified in compliance with ASTM and CPSC governmental standards. Maryland Cannabis Supply specializes in providing dispensaries with child resistant containers, including industry leading containers like the pop top bottles and reversible cap vials, or concentrate dab containers, meant for storing a wide variety of prescription medications. They also specialize in custom paper bags, mylar bags, silicone containers, acrylics, plastics, and custom labeling, which are all very popular packaging options in today’s dispensary market. Proper storage of medication is vital not only for ensuring product quality over time, but most importantly, used for staying in compliance with local, state, and federal laws pertaining to safe packaging of cannabis related products. 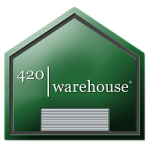 Besides their extended selection of certified wholesale dispensary supplies, they also have an array of commercial wholesale extraction supplies and equipment, ideal for any extraction or processing facility. Maryland Cannabis Supply has the best manufacturer direct selection and price for any and all your extraction and processing needs. They continually research, test and bring in new products and equipment that would benefit their clients. They know the demands of their industry will continue and change, but their clients can rest assured that Maryland Cannabis Supply will continue to carry new and exciting products for their clients. Their goal, is to deliver their clients the highest quality packaging and extraction/processing supplies at the best value. They take pride in their customer service and guarantee 100% satisfaction on every purchase that you make with us.